Experience our Long Table Dinner Fish Fry Mondays throughout July and August. 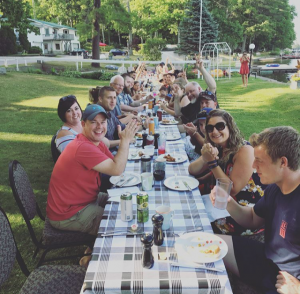 All you can eat pickerel buffet cooked and served on the front lawn while listening to live music from Ace and The Kid. So much fun and the food is good too!